Adventure is to conquer your fear. 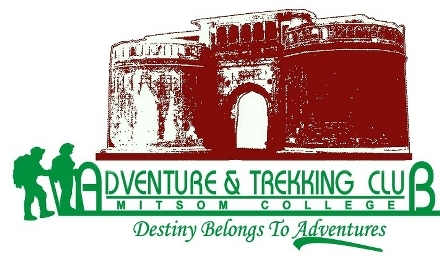 At MITSOM College, conquering your fear has a new address – The Adventure & Trekking Club. The club provides you with a mix of fun, adventure, excitement all at the same time. The Creative and Social Activities Club was formed with the aim of satiating ones’ need of being creative in everything that they do. 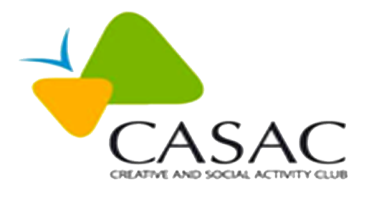 CASAC is a perfect blend of fun, creativity, responsibility and socializing at the same time. MITSOM College has started an inspiring venture known as the ‘BITS’ club. The term ‘BITS’ stands for ‘Bridge between Information Technology and Students’. Information Technology has proven itself to be integral to both the workplace and everyday activities of individuals. Information Technology is now a part of how people learn, how they interact with each other and how they represent and understand their world. Attaining a basic understanding of these technologies and mastery of essential technical skills is a requirement for anyone to benefit from innovation in the modern world. The technological growth of the nation depends on a technologically literate citizenry. MITSOM College recognized this need and started this innovative club. When your adrenaline rises, its Enthusia. When your mind runs faster than your feet, its Enthusia. Enthusia Club is organized with a view to boost the enthusiasm of the students and at the same time it channelizes their energy in proper, creative and useful way. Enthusia Club also undertakes social & cultural activities like celebrating Valentines’ Day as Grand Parents’ Day, celebration of Guru Pournima and much more. Patriotism was once sacrificing life for nation. It meant preserving the nations’ values and to strive hard to make your nation better than before. Patriotism isn’t a days’ work. One doesn’t need any occasion to showcase his/her patriotism. At MITSOM College, the Patriotic Film Club strives to make the students sensitive towards the nation and be responsible towards the nation. Ideas come alive when you believe in them. No business ever started without an idea. The Entrepreneur Club of MITSOM College brings out the entrepreneur in you. You’ve got ideas, questions or a dream to be an entrepreneur – The Club helps you through it all. Guest lectures, events to showcase your ideas – just everything to help you become an entrepreneur and succeed. Your events, we manage. If event management is your niche, the Event Management Club is a perfect club for you to join. Be it college events or professional events of any company, event management club makes sure to expose its members to almost every working environment. Also, many seminars are conducted to help you manage the events professionally. If Technology is going ahead, then why should we stay back? Techno Club – a place to meet the tech savvy, a place to find people with similar technology craze. Stay up-to-date with latest technology, trends and much more. How can life be complete without music? Music Club of MITSOM College helps you boost your music passion much more than ever. The regular jamming of music bands offers a cherry on the cake to the students. MITSOM College Dance Club is a group of professional classical, salsa, contemporary & bollywood dancers. Regular practice & training sessions give a professional touch to your dancing career. Acting has a new story. The MITSOM College’s Drama Club takes into consideration all the activities of dramas – purushottam karandak, firodiya karandak and much more. Time to give a professional touch to your acting skills. The business ethics & moral club is the club that teaches the ethics & morals to be followed when doing a business. It also conducts various trips to learn about different business environments & develop moral values.